- Today marks the 100 anniversary of the Oreo cookie and Nabisco which was founded on March 6, 1912 in the Chelsea section of New York City. Today the old Nabisco factory is part of the Chelsea Market complex and a stop on the popular Highline Park. 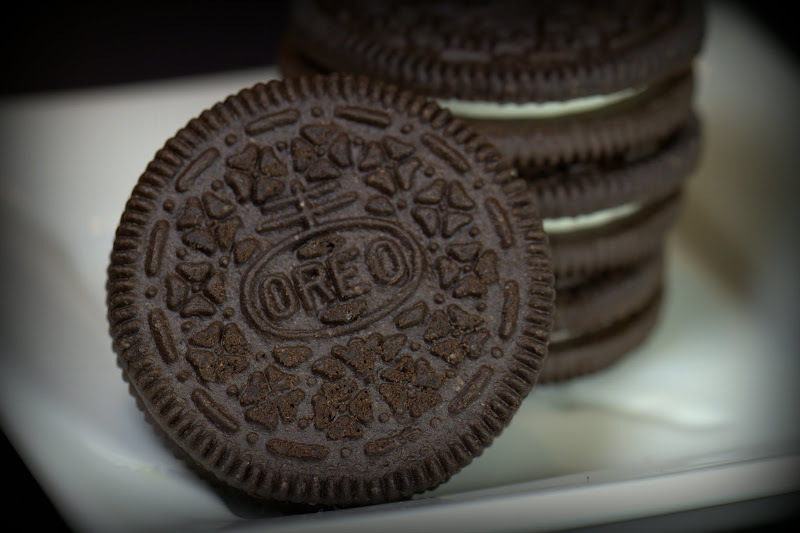 According to Wikipedia over 491 billion Oreo cookies have been sold since they were first introduced making the Oreo America's most popular cookie. The best part of making today's picture - why eating the cookies and drinking the milk of course! Canon 7D 1/200 sec @ f/6.3, ISO 400, two LED light panels. Check the Black & White version of this photo at The World in Black & White blog.